Ahh Mount Rainier. The iconic mountain that can be seen throughout Seattle and is truly in a league of it’s own. Standing at 14,411 feet, this active volcano attracts tourists and locals year round to explore its alpine lakes, blooming wildflowers, and fire lookouts (my personal favorite!). 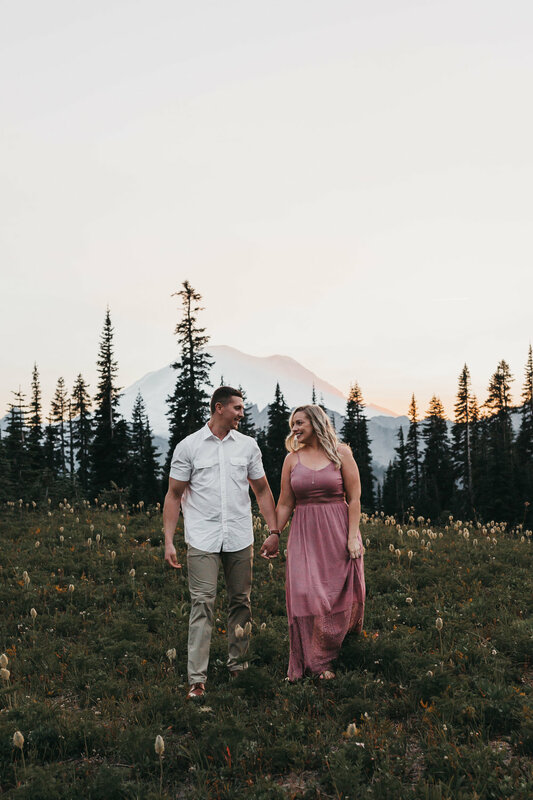 But with forest fires looming the days leading up to this adventure session, Mount Rainier stayed hidden and I feared that it would not be visible for Natalie and Jake who were visiting from out of town. Luckily for us, the smoke cleared out and Mount Rainier was visible for the first time in over a week. PRAISE HANDS. I arrived at the trailhead an hour early to explore and scope out the perfect spots to take Natalie and Jake for their adventure session. I met up with Natalie and Jake at the trail to start our adventure. Of course, I packed the snacks and off we went into the forest with Mount Rainier in sight. 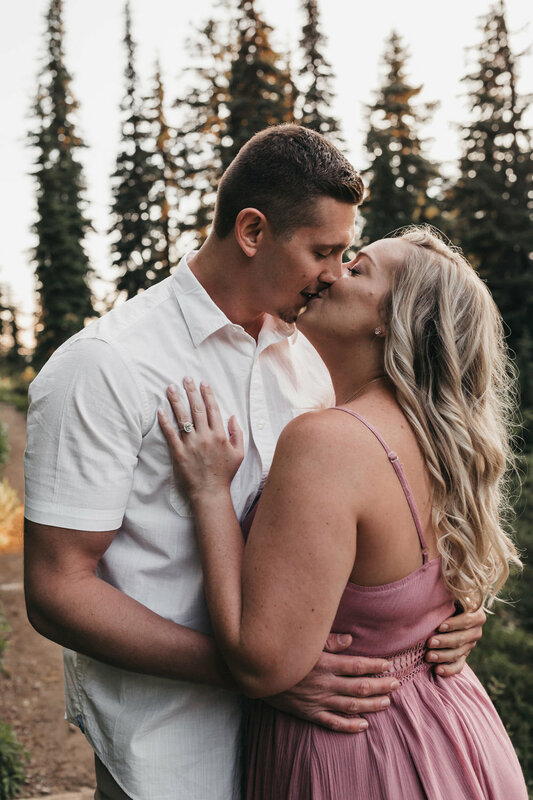 As we hiked to our first location for photos, Natalie and Jake shared with me how they met, fell in love, and their engagement story that had taken place just a few days before. 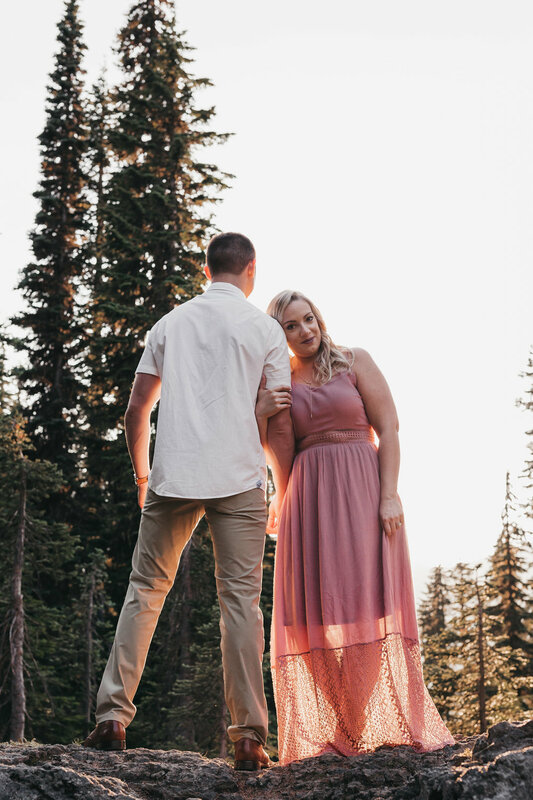 These two are full of joy, and Natalie was a trooper hiking through the forest in her dress. 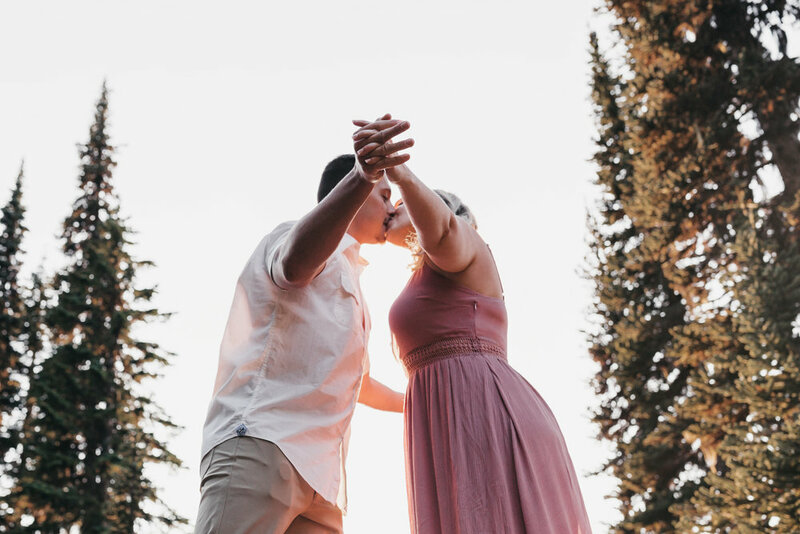 Thank you for allowing me to capture these blissful moments of engagement. I wish you both a lifetime of adventure and hopefully one day you too will call the Northwest home ;). Loving all the mountains and wanting to see more? I feel ya. 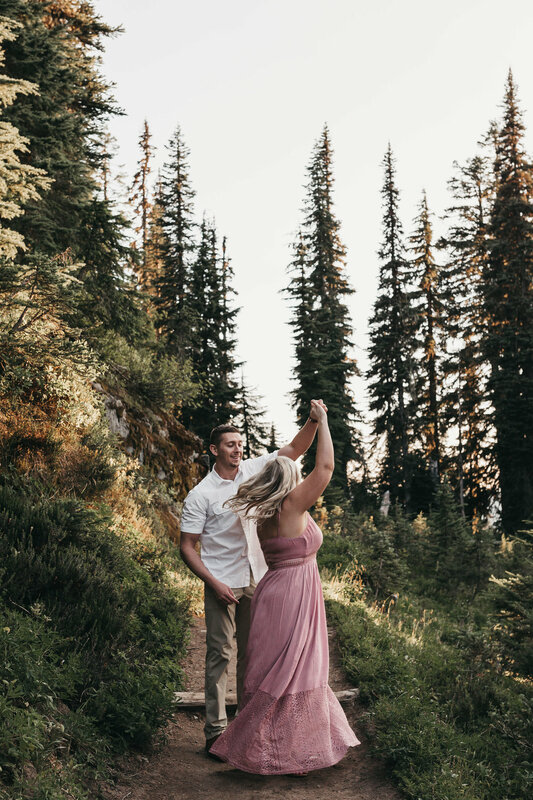 This Rattlesnake Lake + Franklin Falls adventure engagement session sounds right up your ally.